Purpose-built rental student housing is a growing market that has seen steadily rising demand over the last twenty years, and a supply that has only just started to rise to meet it. The number of students attending colleges and universities across Canada is growing. The number of students coming from outside Canada is growing, as are the number of students who are choosing to attend universities outside their home region. Student housing has a number of features that make it very different from other forms of purpose­ built rental housing. Suppliers are only now adjusting their building stock to meet these unique demands, and the results are student housing units that better meet the needs of Canada’s students, for the benefit of the students, their parents, the post-secondary institutions they attend, and the municipalities they reside in. On September 1, 2017, a total of 1,039,521 students enrolled full time at Canada’s 84 major university campuses; 874,283 were undergraduates, while 165,238 were graduates. Just seven years before, this number was 831,370 full time students. Between 2010 and 2017, Canada’s full-time university student population grew by 208,151, or 25%. On September 1, 2017, there were 258,484 students attending one of Ontario’s 24 post-secondary colleges full time. Across Canada, there are now over 1,300,000 full-time post-secondary students. The largest populations of these students are found in Canada’s largest cities, among housing markets that are some of the most active in Canada. The largest university in Canada is the University of Toronto, located in a region where private apartment vacancy rates are at 1.3% and average rents are $1,648 per unit [source: CMHC, 2019). The University of British Columbia is Canada’s third largest post-secondary institution, whose 29,564 full-time students attend in a neighbourhood with vacancy rates at 0.3%, and average rents at $1,996 per unit [source: CMHC, 2019). Thus far, the only region to address the demand for purpose-built student housing is Waterloo, Ontario, which now has 23,387 beds in off-campus developments, although this is still below the estimated student population attending the area’s two major universities who have come from outside the host region [42,139 students). Toronto is the next largest market of off-campus purpose­ built student housing with 4,681 units, followed by London with an estimated 3,500, and Vancouver with 3,099. As of January 2019, an estimated 51,747 purpose-built off-campus student beds were available or were being built across Canada. 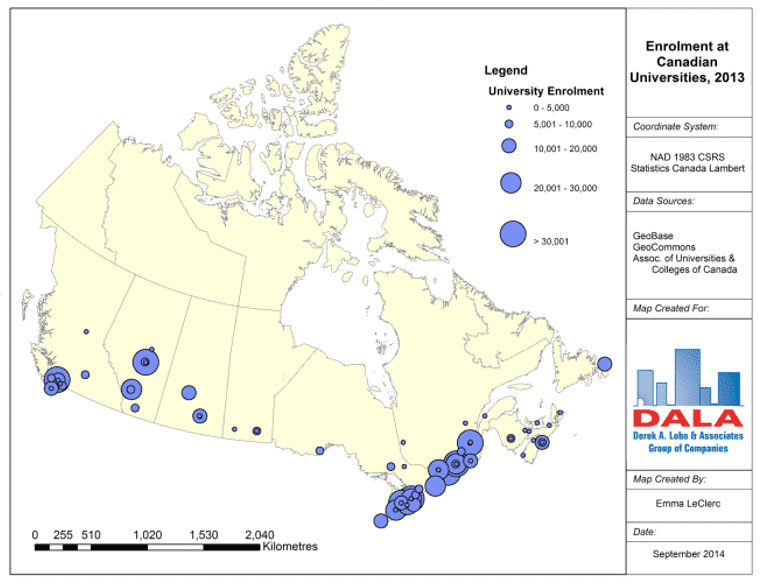 The map below highlights the location of Canada’s universities with each dot sized according to the size of those institutions’ student populations. Students attending university in their home town typically don’t need housing. However, many universities across Canada attract students from outside their host city. Students are attracted by the prestige of the university, or they wish to experience the rite-of-passage of living away from their parents for the first time. Many universities attract large numbers of students from outside Canada. It is estimated that 12.5% of all students attending Canadian universities come from outside Canada – a number that has increased in recent years due to what institutions are referring to as the “Trump Bump”. These students need housing. Most universities provide some housing for their students. These come in the form of on-campus dormitories or student apartments, or villages of townhouses made available to students. Some universities offer meal plans to go with this housing. In very few cases outside of small religious university campuses, is sufficient on-campus housing available to meet demand. Typical student housing markets offer students several different types of rental housing. These are summarized in the table below. Although not all housing types in the table above are found in all student housing markets, most are present, offering students a wide range of housing options which vary in modernity, quality, amenities, and pricing. Off-campus housing takes many forms. 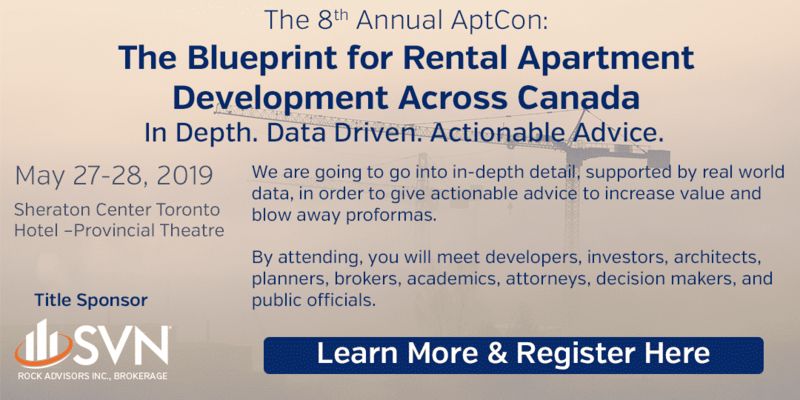 In the past, most post-secondary students lived in off­ campus conventional rental housing provided by developers in the private sector. This housing was rarely geared to the needs or requirements of students. 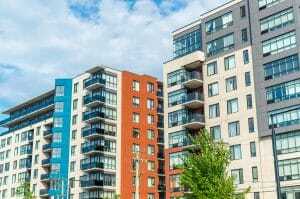 In the past twenty years, however, there has been a growing student housing market trend, first found in the United States but making gains in Canada as well, for developments to be built specifically to meet the needs of student renters. Privately operated, purpose-built off-campus student residences are the most attractive type of off­ campus housing for students. In Canada, however, this market is only just maturing, and so not all student housing markets offer private student residences. Where they exist, privately operated purpose-built off-campus residences offer comparable [and in some cases, superior] modernity, quality, and amenities to even the newest on-campus student residences. Privately operated purpose-built off-campus residences operate under provincial Landlord & Tenant acts and usually adopt and enforce the codes-of-conduct which the local university or college applies to their on­ campus residences. These developments are substantially better than informal or casual rentals, which are typically single condominiums, detached or semi-detached homes, and townhouses offered for rent by their owners who may or may not remain in residence. As their name suggests, these are not always transparent arrangements and many casual rentals “slip under the radar” of Landlord & Tenant acts, which means students renting these types of rental units do not always enjoy the legal protections they should and do not have any guarantee of quality or safety. Acknowledgement of Seasonality: Students attend post-secondary institutions in blocks of 4 months, which correspond to academic terms of study. Students enrolled in full-time studies usually start in September and go through to the end of April (8 months total], unless they are on a co-op stream, which means four months of academics followed by four months of work placement, repeated. Most conventional rental buildings lease apartments for a year, leaving students on the hook for the four months they are not in school. Forcing them into a complicated process of subletting. Acknowledgement of Shared Housing: Many students, to address financial constraints, try to lower their individual costs by living by partnering with other students. In conventional rentals, it means leasing a unit, and then subleasing to roommates who share the rent. This practice places a number of burdens on the student and raises uncertainties for the landlord. If one of the roommates moves out, the other tenants have to cover that share of the rent. Purpose-built student housing rents units by the bed, rather than by the door. Students are responsible for their own rents, and all tenants within a unit are covered by the protections and obligations of the lease.